Now is the perfect time to move to Venezuela’s socialist paradise: It has ration cards for food, no toilet paper, funeral homes forced into “recycling” coffins for wakes, and grocery stores are run by the military. For the young socialist, what could be better than massive caloric restriction, stained underwear, and the exercise that comes from desperately searching for life’s basic necessities? Shoppers thronged grocery stores across Caracas today as deepening shortages led the government to put Venezuela’s food distribution under military protection. Long lines, some stretching for blocks, formed outside grocery stores in the South American country’s capital as residents search for scarce basic items such as detergent and chicken. While it may have been incredibly inappropriate, Bloomberg’s reporters should have considered asking Ms. Elsa if she tried calling actors Sean Penn or Danny Glover for detergent and chicken. Hollywood’s socialist cheerleaders are noticeably absent when it comes to commenting on the average Venezuelan who is forced to wear dirty clothes, doesn’t have toilet paper, and can’t find diapers for her baby. Although much of the media prefer to give Venezuela’s predictable socialist implosion scant coverage, Americans would be wise to search out the details. There are 50 states filled with people who share Nicolas Maduro’s politics and economic ignorance. While it may seem like America will forever be immune to toilet paper shortages, that is most certainly not the case. Bad economic policies can bring a nation to its knees in no time, and it would be a shame of epic proportions if America one day found itself deploying U.S. Army Ranger battalions to guard bread lines. Exit question: How many Venezuelans these days do you think are singing David Lee Roth’s “Just Like Paradise”? Previous Entry Obama on community college: ‘Free’ stuff! ‘Free’ stuff! Get your ice-cold ‘free’ stuff! no mention of how our Saudi pals weaponized oil prices to attack Russia, Iran and Venezuela? Venezuela’s problems were ongoing well before the drop in oil prices, so no. It has a socialism problem that exacerbates its oil problems; it does not have an oil problem that causes shortages of coffins, toilet paper, diapers, bread, eggs, and milk. Also, Saudi Arabia is not our “pal.” (It’s strange that you routinely try to get me to defend Saudi Arabia when I have no love for its rulers and I’m a strong advocate of tapping U.S. resources for energy independence). Weren’t you writing on this issue when oil prices were quite high? Sounds like they mismanaged their economy when money was coming in. June 14, 2013: Venezuela: You can’t have a revolution without a few skidmarks; ignore the toilet paper shortage! I’ve been meaning to write on this subject for quite some time, but I’ve held off because I feel bad doing so. The free market allows me to buy Quilted Northern as well as Charmin. My bottom is so pampered living in the United States that I don’t want to kick a socialist while he’s down. But … what the heck. At some point we all must answer for our own stupidity; life is full of learning moments if we’re willing to listen. 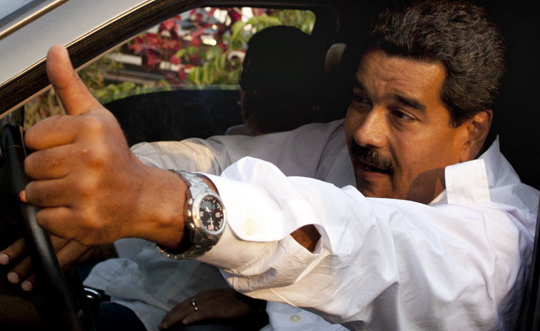 Like I said, Venezuela’s big problem is a socialist problem — not an oil problem.